Have you planned a list of decors to get your garden beautified outstandingly? We wish you to check out the today’s sharing if you have not planned anything special yet! It is a big challenge to afford the expensive garden decors! So, It is better to use the alternative DIY solutions for it? 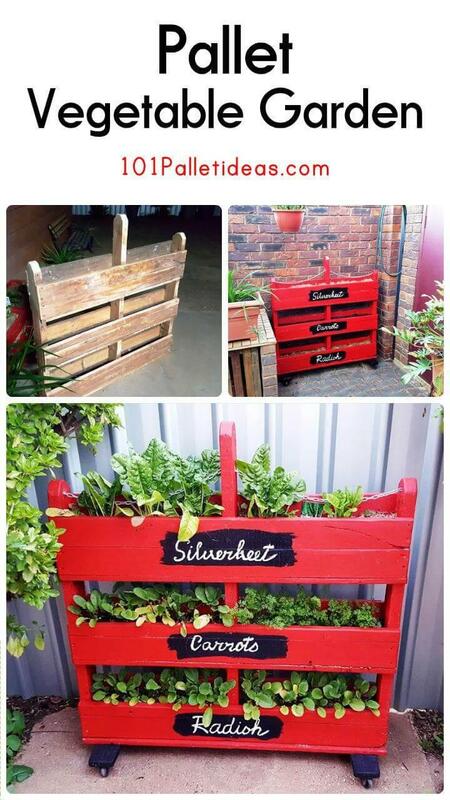 We have brought these amazing DIY vertical pallet garden and planter here for you, all are a big hit! The ideas are all about to take maximum use of already made shapes of pallets! 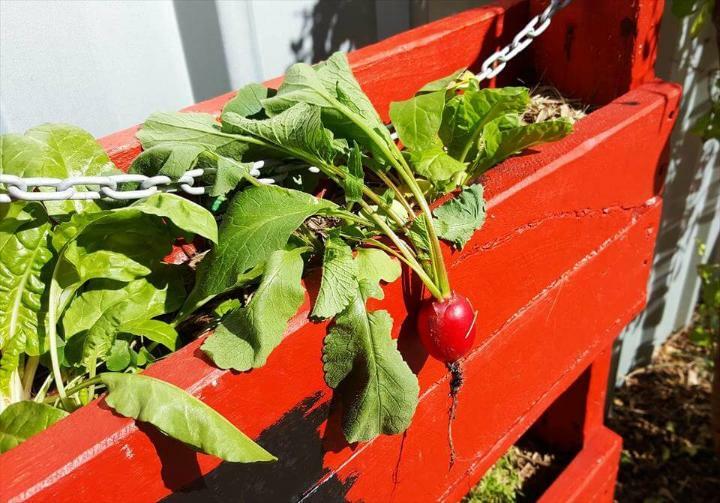 Open up the pallets a little for adding potting soil and fill solid some of their parts to avoid leakage of soil! 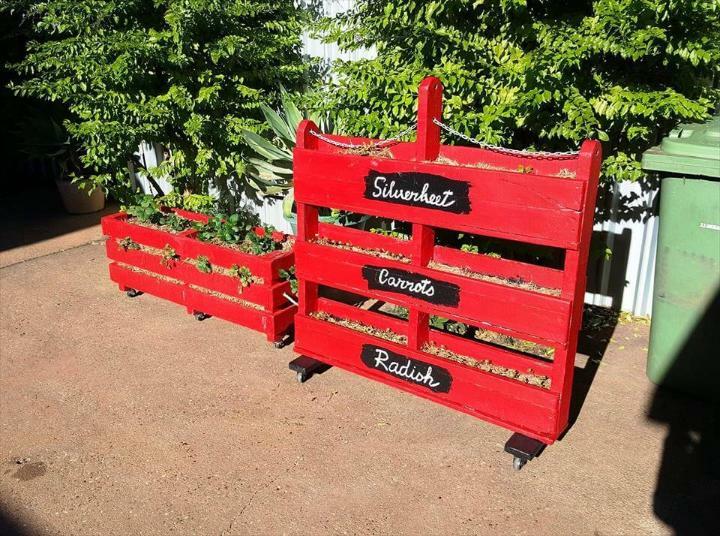 This all the major thing you need to do while installing custom DIY pallet planter ideas! In the final step, add custom hardware and make the finished planters easy-to-handle! Use also a little bit of paint for amazing visual of your completed products! 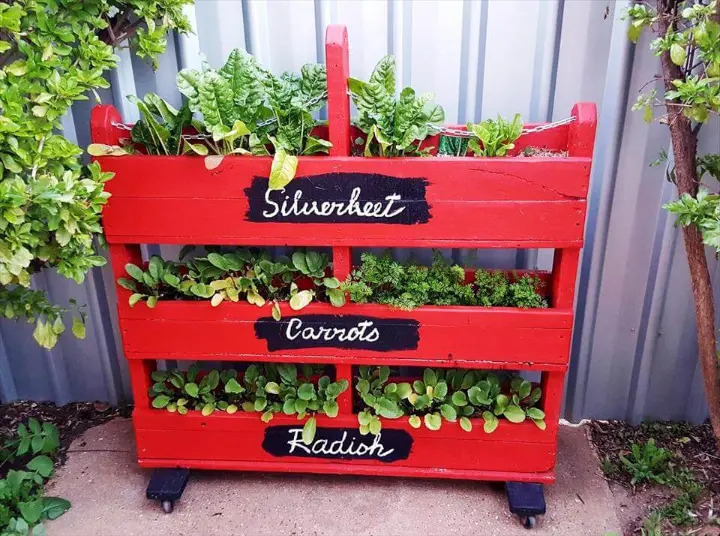 Checkout a number of more garden related pallet projects on our site to decorate and improve your garden in a budget-friendly way! 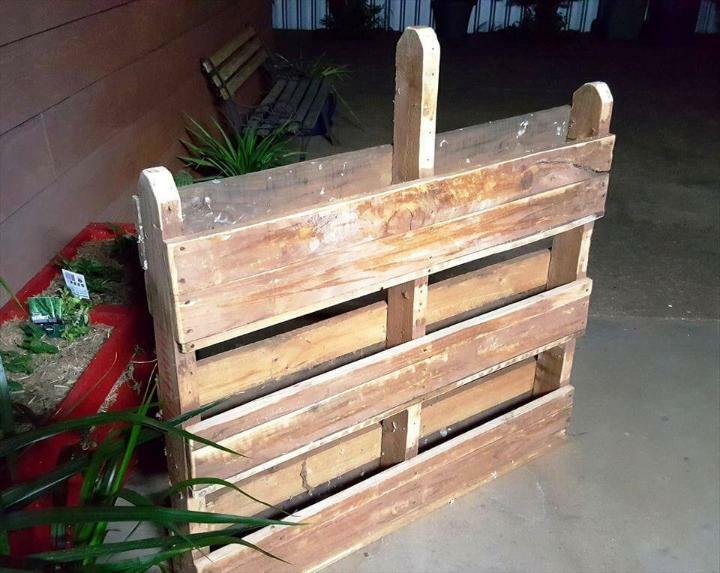 Remove some of a parts from the top of a pallet while keeping the artistic look in mind! Now just start gritting the wooden surfaces to find no more splinters! Paint the tiered potting levels in the same or different manner! Paint some portion black to write over the plant names with chalk or white paint! Here red paint has been used as main that makes the entire visual look fancy! The top of the planter comes with loosely hanging metal chains just for an artistic look! Don’t forget to add the rolling feet, will make it stand without any support and will also make it move fast! 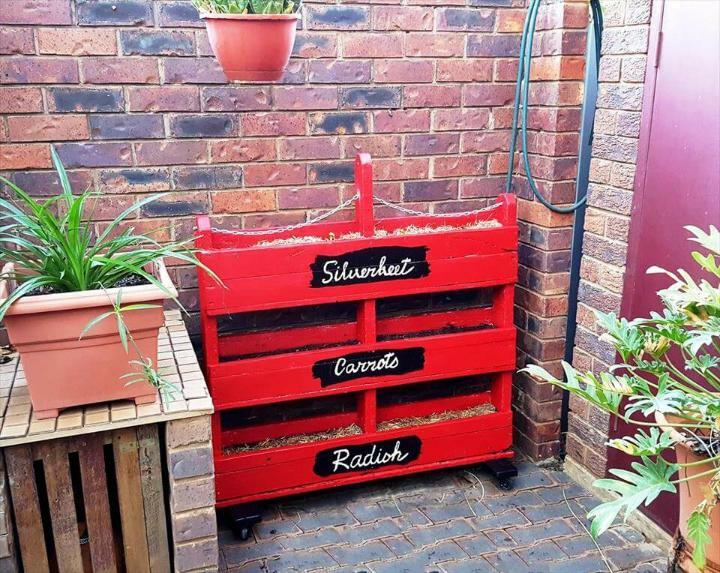 Outstanding pallet planter ideas for garden lovers!